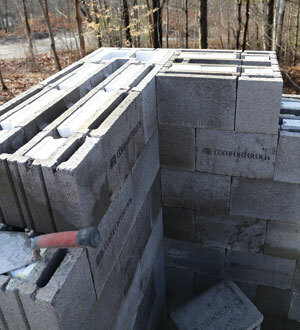 Comfort Block, the first self-contained, insulated building block in the United States. 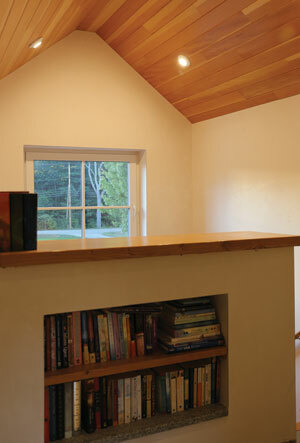 Built-ins using the Comfort Block wall system. Genest Concrete, based in Sanford, Maine, was founded in 1927 by Hermangilde Genest. In his pit, he manually dug and delivered sand and gravel by horse and buggy. His hand-pressed concrete block would eventually become the cornerstone of one of New England’s largest manufacturers and distributors of masonry products. Genest Concrete, now in its fourth generation, is managed by his great-grandsons, Chris and Matt — two men who carry the burden of the industry’s decline for their family business. Growing up in the pits, the Genests are no strangers to adversity and innovation. They’ve worked every position within the family business and watched the company’s inventory demands change over the years with the rise and fall of the residential and commercial markets. They know that, in order to get masons back to work on residential and light construction sites, something needs to change. On a 2007 trip to Germany, Chris noticed that nearly every home was built using only masonry products. 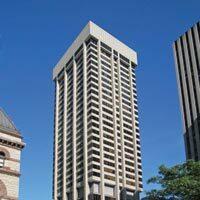 Most are built using extremely thick, insulated, monolithic external masonry walls, as well as concrete floors and internal masonry partition walls. These homes are airtight and become a concrete thermal battery able to balance internal temperature and maintain consistent temperatures through extreme cold and heat. After years of “back of the napkin” designs, countless meetings with industry experts and several prototypes later, in 2014 Genest Concrete introduced Comfort Block™, the first self-contained, insulated building block in the United States. Exterior, Genest property, Kennebunkport, Maine. 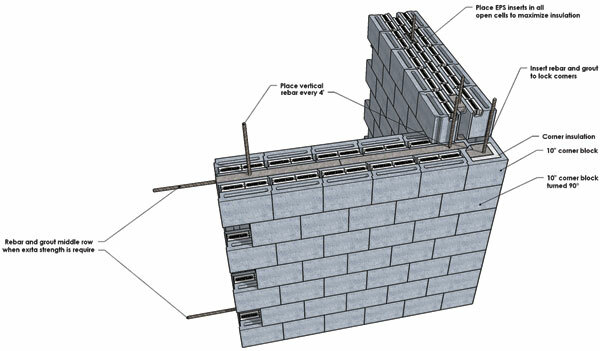 Comfort Block is a 16-inch-thick wall system with three layers of insulation. The block is ground and calibrated to within 0.5 mm so that nothing more than adhesive is needed between the blocks. The intuitive design makes Comfort Block easy to use, reduces water on the jobsite and creates a faster, more streamlined construction process. 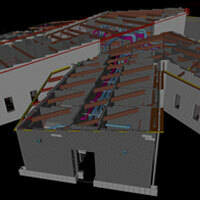 Comfort Block™ is designed to utilize traditional subcontractors. Each block has built-in channels for wiring and plumbing. Using the Comfort Block wall system, the need for wood in the construction process is eliminated. The exterior is covered with stucco and the interior walls with plaster. 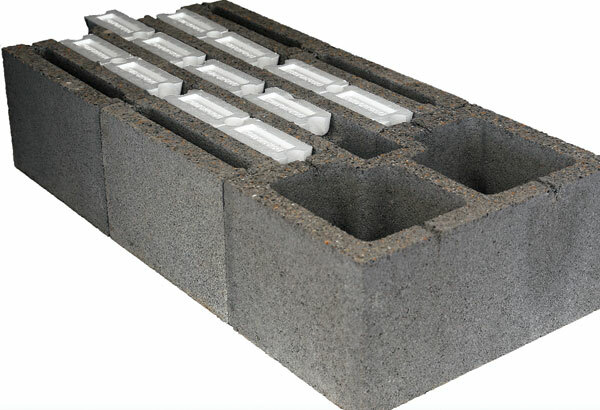 Comfort Blocks contain no organic material, making them impenetrable to mold, insects and rot. They are safe for those suffering chemical sensitivities with little to no off-gassing. Perhaps most notably, the three channels of insulation make them extremely energy efficient, providing an R-30+ performance. Chris Genest, co-president, Genest Concrete and Comfort Block creator. On a persistent quest for quality control, Genest built his own home using Comfort Block in 2015. Working with a veteran mason, together they learned a lot about the product and its functionality, and identified efficiencies that could be gained in both the design and construction process. That work led to a second-generation design, which is now in production all across the state of Maine. The mason, Paul Brigham, is using it to build his home, and there are two others in various states of design and construction in Maine. Genest has seen his energy bills drop by nearly 66 percent through the use of Comfort Block. 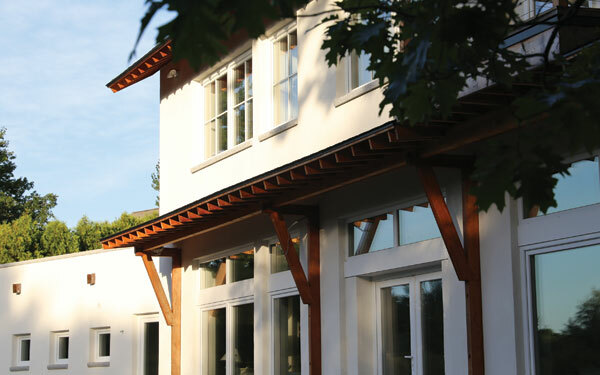 Comfort Block provides the first cost-neutral way to build a green, resilient masonry home. It also provides a conduit by which to engage the energy and attention of new tradespeople entering the light commercial and residential construction markets. 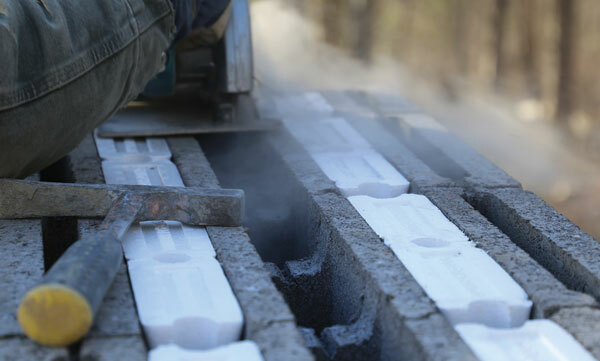 Knowing the dire need to create excitement among new masons, homeowners and builders, Genest hopes to generate enough interest and demand among builders, homeowners and industry trade groups to license the product and offer it in all 50 states. Chris Genest is a general manager of Genest in Sanford, Maine, and president of its Comfort Block division.